We are engaged in offering a wide range of Control Cable, which includes armoured cables, power cables, HT cables, LT cables and extra high voltage cables[EHV cables]. 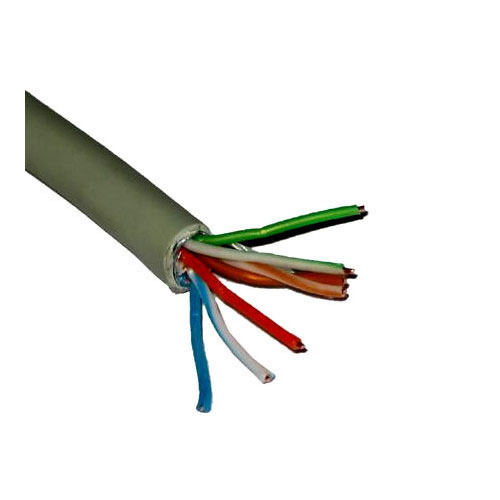 Apart from this we also offer flexible cable, instrumentation cable, H.T XLPE cable, L.T power cable, fiber optic cable, telephone cable, CSP rubber cable, industrial domestic wire, FRLS wire, industrial rubber cable, flexible rubber cable, flexible electric cables, rubber electric cables and multi-mode optical fiber cables. Our products are manufactured by using premium quality of raw material. Incepted in the year 1996, Manglik Corporation is engaged in manufacturing, trading, wholesaling and retailing of Electrical Cables, Electrical Wire, Electrical Boards, Box Capacitor. Professionals make these products very precisely with the use of quality checked material. Moreover to this, professionals check these products on various parameters set by industry experts. In addition to this, offered wires are best in finishing and light in weight. Professionals supply these products in the market in complete safe packing and at nominal cost. Besides this, these wires are weather proof and do not get damaged by pressure and heat.